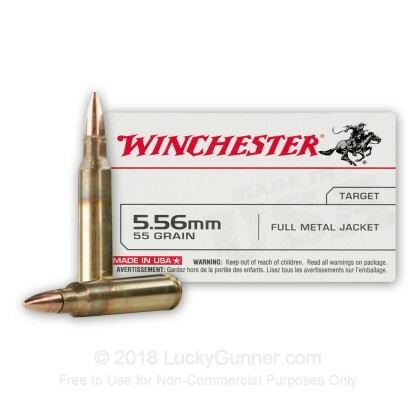 For serious AR-15 shooters, 5.56x45mm USA Ammunition is the ideal choice for training, competition or a long session at the range. The easily identifiable white box means high quality and reliability at a low price. This ammunition is new production, non-corrosive, in boxer primed, reloadable brass cases. 200 rounds through brand new Spikes carbine. No issues at all. 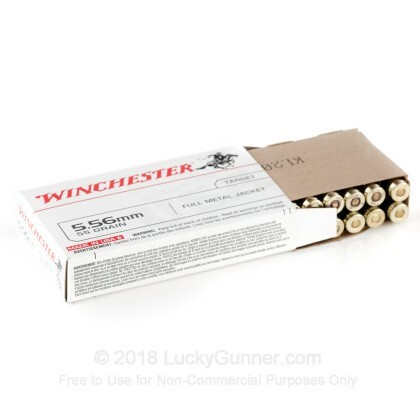 I have purchased hundreds of rounds of this Winchester white box 55 grain. And I have never had a single issue. Great ammo for what it is. Great product. No problems at all. Great service and delivery. 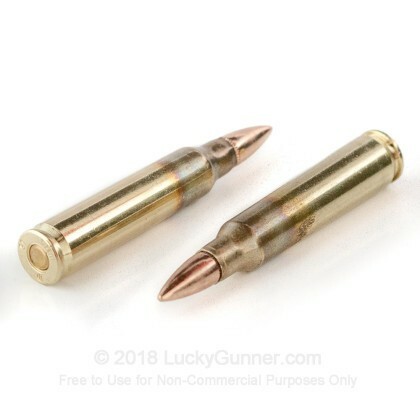 Lucky Gunner is my go-to site !!!! Typical Winchester good quality and performance. Only a few boxes used and no problems. This ammo cycles flawlessly through my M&P with good tight groups at an indoor (25yd) range. 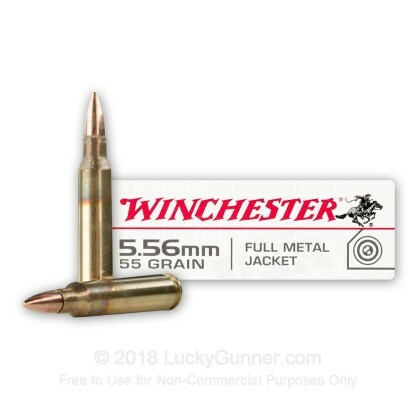 We also have this 5.56mm - 55 Grain FMJ - M193 - Winchester - 1000 Rounds ammo in stock in a bigger quantity.